DAR / SAR vVolunteers for the National Vietnam Veterans Recognition Day Parade. 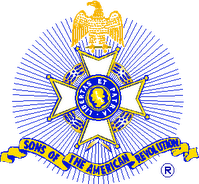 (from left to right Karen Manatt (Regent, Ann Washington Chapter, DAR, Mount Vernon), Melonie Liening (Mary Ball Chapter, DAR, Tacoma), Suellen Eberhart (Vice Regent, Ann Washington Chapter, DAR, Mount Vernon), John Kraft (GWC, SAR), Ralph Liening (Husband of Mary Ball, DAR member), Neil Vernon (Pres, Seattle Chapter, SAR), Nick Reichert (Seattle Chapter, SAR), Marshall Eberhart (Pending member, GWC, SAR) (30 March 2019). 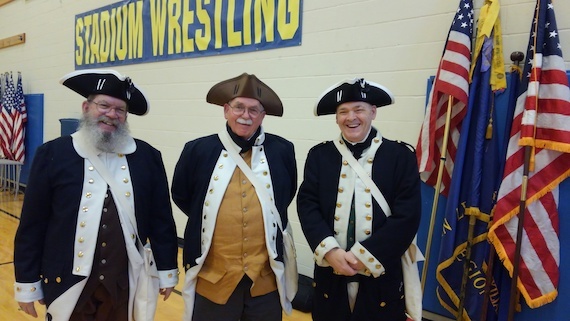 GWC Compatriot John Kraft (left) and Mike Hutchins (center), along with Seattle's Neil Vernon (right) (23 February 2019). 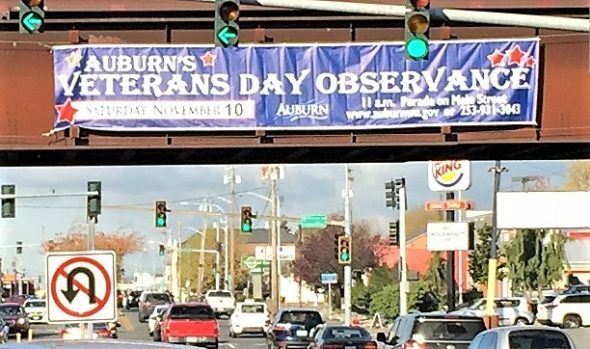 Auburn, WA Veteran's Day Observance (10 November 2018). 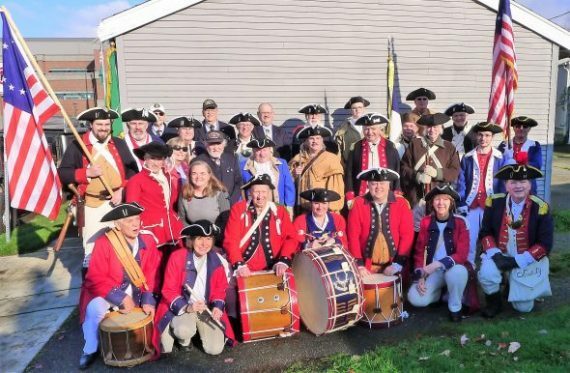 Early muster of 27 of the SAR-DAR Color Guards and Fife & Drum Corps. Unit muster was 43 SARs & DARs (10 November 2018). 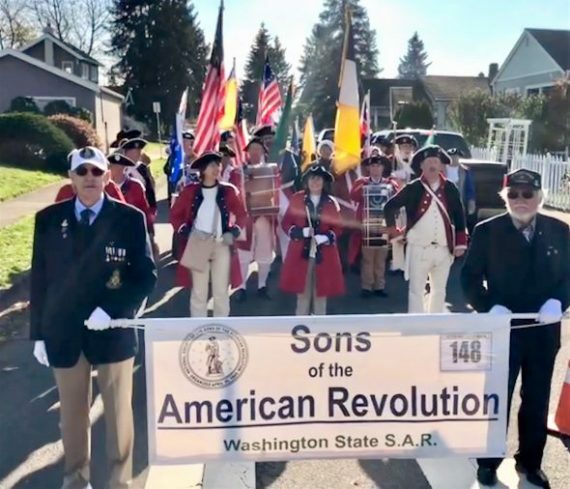 Our 43-Compatriot SAR-DAR Parade Unit lined up for the Auburn, WA march (10 November 2018). 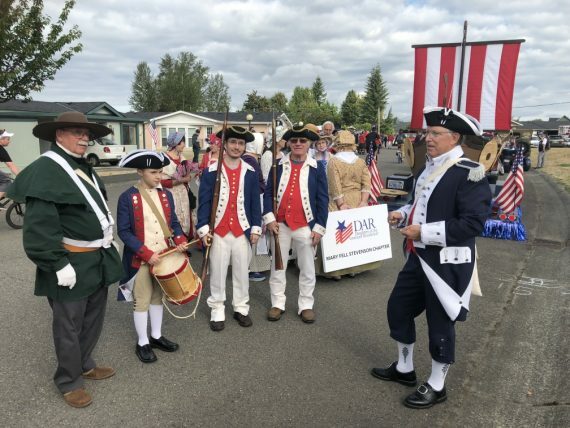 Compatriot Mike Hutchins (far left) joins the Washington SAR Color Guard (3 September 2018).